While German metal conjures up images of everything from extreme thrash to uplifting, rejoiceful power – there are other bands willing to expand horizons in a multitude of directions. 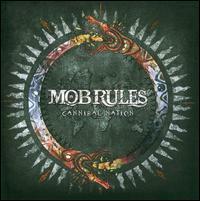 Take veteran act Mob Rules for instance. 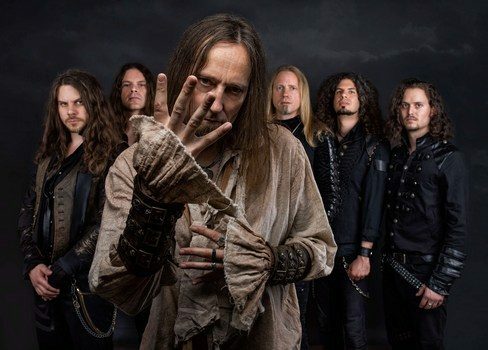 Their sound carries a melodic metal foundation – it can be epic, progressive, or traditional and classic-minded depending on the needs of the arrangement and atmosphere on hand. Comparisons abound to bands like Queensrÿche, Savatage, Iron Maiden, or Tad Morose due to the wide scope of songwriting the sextet encompass. The latest effort Beast Reborn continues with that same execution and desire to forge their own mark in a scene that often struggles to develop distinctive artists. We recently got the opportunity to speak with keyboardist Jan Christian Halbrodt – his laid-back personality made this half hour talk go by smoothly. Prepare to learn more about his entry into the band, his role as a keyboardist for the group, the mystical/literature/history ideas that he developed for the new album – and even some discussion on the see-saw pull between being a good musician, and developing good networking skills for the business. Dead Rhetoric: You’ve been in Mob Rules since 2010 – how did it feel to join an established act like this with a deep discography, and did you feel like the older members respected your abilities and the fresh perspective you could bring with your playing to the band? Jan Christian Halbrodt: I was very happy and very proud to be able to join a band like this because I’ve always played in local bands within my hometown – and then I got the opportunity. They were from the place near where I live, and I knew Sven the guitarist very well. I had some connections with my other band with their keyboardist Sascha (Onnen). I got to know him through my time in my local band, and also Klaus the singer I knew quite well. It was easy for me to get in this band, as we were kind of friends and knew each other. Sascha for example took a lot of time to introduce me to the old material, when I joined this band I was able to bring my experience and my style into this band. At first it was quite new for me to be in a band like this – I had to learn a lot. Over the years I got used to this, and started to take over certain things musically and with the lyrics and all the stuff around the band. I have been a good fit into this band, and I’m very happy. 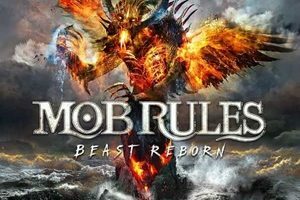 Dead Rhetoric: The latest Mob Rules album is Beast Reborn – how did the songwriting and recording process go for this material? Did you have any surprises, obstacles, or challenges that had to be worked through? Halbrodt: We tried to change a lot of things with Beast Reborn. We started this process with Tales From Beyond and thought this works (well) so we continued in this way. The first thing was being produced in the studio and not in the rehearsal room. We had much more time to get the details done. The way we produce things is not with everyone involved but Sven and Klaus start writing the songs, and add some programmed drums and keyboards, then give it to everyone and we add our own things. We work more out of the gut and not from the brain – we often worried with the older albums if it was material that the fans really wanted and we’ve now learned that we have our own style and that we can try new things without losing our sound. It’s made us a little more confident – we try what we want to add, and it worked (out) very well. It was more exciting to sort of let go and let the songs grow. Dead Rhetoric: You took on the lyrics for the previous album Tales from Beyond – did you also contribute on that behalf this time around, and if so what sort of topics did you feel the need to tackle? Halbrodt: Yes, I wrote half of the lyrics on the last album, and now I write all of the lyrics. I have a lot of fun, I want to give these songs a depth. If you look at the lyrics in the booklet, you will find another layer to my words. I try to talk about some existing themes. I wrote about some myth legends, some things in history – the longer song “War of Currents” is about the rivalry of Thomas Edison and Nikola Tesla – who invented the new modern technology that we are living through. In the 1900’s they created generators with ac or dc current – it really came to a kind of war. Edison would say that the generators of Tesla are dangerous – and the result is the modern world that we live in. New York City had street lights because of the work of these two guys. It was very interesting so I wrote lyrics about this. Another story in history is “Children’s Crusade”, that happened in Germany and France about 1212 where a group of children suddenly started to try to reach Jerusalem, at the time of the crusades. And one boy had told people that an angel has told him that innocent children can free the Holy Land- so he gets around 10,000 children around him who found a purpose and they are doing this prophecy. A third of them died on the way to the Alps- they reached Italy and 1,000 got home in shame. The other one-third try to get on ships and they got sunk or robbed by pirates- this is a sad story about blindly following leaders. I wrote other songs about literature – “Sinister Light” is about the Sherlock Holmes book The Hounds of the Baskervilles, some mystic stuff as well. There are personal songs as well, we had situations with divorces, upset relationships, family members that died within the band. I wrote about this, facing the new start and leaving the past behind. The band has found a new way to leave the old things behind, thus the title of the album. Dead Rhetoric: Considering you develop the lyrics, do you work out the melodies with Klaus or is that where he has his own input as a singer? Halbrodt: We do a pre-production, and Klaus does the phrases and melodies in that. He’s a very good guy with music theory. When it’s finished, I get the pre-production where he is just singing some fun words that come to the top of his mind and I have a structure to create the lyrics. This is very good for me because I know how long the song now is, how many verses, where the choruses will be, and I knew the mood of each song so I can find the right lyrics that are suitable for it. Dead Rhetoric: Can you tell us about the video you did for “Ghost of a Chance” – was it a lot of fun to do the narrative scenes in between the live performance aspects? Halbrodt: Yes, it was a lot of fun. We had so little sleep, it went about three days. We found a really good guy who did the scene decorations. We started to get into this – Klaus had a lot to do. The parts for the live performance we did in one evening – we played the song about sixty times from all directions. Our drummer got his arm a little bit injured during this time because he had to play the same thing and look awesome. The scenes of fire were made in his own house, there was a bowl of fire there, and it made it look like the house was on fire. It was a hard time especially for Klaus, as he had to do a lot of the theatrical scenes while most of us waited around. Dead Rhetoric: Can you discuss the special limited-edition box set for this effort- which includes a beach towel, patch, bonus CD, and the colored vinyl in the package? Is it a collaborative endeavor between the band and record label what goes into these special editions? Halbrodt: We wanted to do something special, and we had a little bit of freedom in the choices of what we wanted to put in. A big catalog of stuff that you can buy, create, or make – we thought about what was useful for the fans. In most box sets like this, there is a flag or poster included – but most people don’t hang it on the wall. We thought about something useful for the fans, and we found out we could make a towel. We thought this is cool- we can get our own towels out on stage when we play, and everybody needs a towel. We have a patch, because when we play live the fans always ask for a patch for their jackets. When it comes to vinyl, today you can choose between so many colors. Orange black swirled vinyl looks great, and goes together with the cover very well. We wanted to do it up special, because we have some very true fans that want a package that they could be happy with on their desk. We limited it to 500 pieces, and I’m very happy with it. Dead Rhetoric: Stylistically it’s evident that the band place an importance on strong hooks and memorable melodies both vocally and musically. Does this make the band members themselves dig deeper to create interesting twists or solid songs even with all the previous Mob Rules albums you’ve released over the decades? Halbrodt: That’s the thing about thinking about our style. We do the music we love, and what we wanted to hear from the bands that we like to hear. We thought a lot in the past about how we should sound – is it too progressive, is it too direct? This time, we just let it go and let it evolve, and don’t limit ourselves to any directions. The conclusion of all the members, the songs are just created. It’s the music we like, and it sounds like this. Dead Rhetoric: Where do you see your role within the band as a keyboardist – especially considering you also possess a dual guitar lineup? Are there times where you lay back and provide more of a foundational element instead of taking the lead so to speak? Halbrodt: I see myself and the keyboard as a part that supports the guitars. We are a metal band with a twin guitar style, I think the keyboard is an instrument that can act as the color of the songs. I think it’s not needed for me to have keyboard leads- it’s okay sometimes and it’s great. For example I think it’s great when you have a bass, drums, twin guitars recorded – if I then play with an organ, it suddenly sounds like a rock song, if I play with a synthesizer it sounds more modern, if I add some orchestral stuff it’s epic. That’s the thing that I can do with the keyboards – it can add color and direction. That is the thing that makes the songs important. If the keyboard were too much in the lead, we would be reaching for a different kind of music. We want to do metal and power metal – and the keyboard does have an important role, but it’s more of a supporting instrument. Dead Rhetoric: Who are some of the keyboardists that you respect in the metal realm or other genres? Halbrodt: Of course, Corvin Bahn – he was my original teacher, he has played in the past with Gamma Ray, once in Kamelot without a rehearsal. I’ve learned so much from him so he’s the one I respect the most. The second thing – I really love Joost van den Broek. He is a Dutch guy, he plays with Ayreon. I love the way he plays and the way he acts on stage- a really cool guy. I also like the keyboardist for Sonata Arctica – Henrik (Klingenberg). He has a very different style, I like his attitude on stage. Those are my three favorite keyboardists. Dead Rhetoric: Now with nine studio albums to pick from for the live sets – can you discuss the challenges in developing ideal set lists that can satisfy the band members and the fans? Do you often switch certain things out based on touring/album cycles so that things can be fresh and exciting for all parties? Halbrodt: That’s a good question. We always try to include (songs) from all the albums, but it’s getting harder and harder the more we have. This is the first time we have ever played shows where one album gets left behind because of the time. We had a fun experience last year playing the Beyond Classics tour, and we let the fans decide what they wanted to hear. It was good to hear that they chose most of the songs that we wanted to play – the songs we have in our live set. We have about ten songs that always come in and out of the set – and they are expected. When there is a new album, three or four new songs come in. The hardest thing is to decide which songs not to play that get pulled out. I think we’ve found a good balance. Dead Rhetoric: Is it a challenge doing festivals versus your own club and theater shows? Do you notice a difference between the two types of audiences? Halbrodt: We want to play more festivals. On our club shows, they are the people who know us. If you play a festival you have a crowd of people who mostly don’t know us. It’s challenging and exciting to get a new audience. For myself, I really love to play on the festival stages. The crowd who may be skeptical, and then you catch them after the show and you talk to them afterwards, they may not know us but they really like us. I hope we play more festivals next year, as this year we only played two festivals and we have to reach new people. Dead Rhetoric: Where do you see the importance of friendships when it comes to proper band activities? Do you have ways of handling the stresses that come up either in the studio or on the road without blowing up at each other? Halbrodt: (laughs). Sometimes it happens, but we are a very good group (of guys) and we have known each other for a lot of years. The thing is, we are in this together, there are moments when somebody loses their nerves in a very easy way. We are good friends, it’s always fun being on tour with the guys in rehearsals and on stage. If we wouldn’t enjoy each other, this wouldn’t work. Dead Rhetoric: In the history of Mob Rules, what are some specific moments either when it comes to albums or live performances that stand out as most memorable to you? Also, what have been some of the best concert memories you have purely as a fan in the audience? Halbrodt: For myself and I would say most (of the members), it was when we played ProgPower USA. For a band from Germany that traveled so far to get into the US, it’s a very different country for us. We get into this club that we played, we were welcomed so warmly. This metal community is such a great community. I really think often about this. The other thing, in the time before I was in the band, they had a show with Ronnie James Dio – and Sven often talks about this because the band had a chance to meet him and talk to him. He was such a kind and great guy, they always remember being on stage with him. And of course, I love playing live – the coolest thing after the show is getting to the merch table and talking to the fans who come to the concert and hear their stories. This gives me the fuel to carry on. Dead Rhetoric: What have been some of your favorite concert memories of shows you’ve seen? Halbrodt: As a music fan – there were some awesome things. Do you know the band Ayreon? They played live last year in the Netherlands, and it was about two hours of true awesomeness. That was one of the best (shows) of my life. Such talented musicians and the songs were great. Back when I was 20 I went to see Dream Theater together with Pain of Salvation for the first time- this was a concert that blew me away. Such great musicianship together all in one evening. Dead Rhetoric: What worries you the most about the world that we live in today? Halbrodt: God the world, yeah. I don’t know what’s happening right now. I had this feeling when I grew up in the 90’s, the world would be open, but I think it’s closing again. All these guys, in Germany we have this strange party called the AFD, Donald Trump it’s hard for me to understand. I don’t know what’s happening in the world, I grew up in a world where everything works together. Dead Rhetoric: Where do you often see younger musicians struggle or fail at things that you believe you’ve developed a better sense of handling being older and wiser at your craft? Halbrodt: The thing is, if you are a good musician that’s a good start- but that is not (everything). I see so many musicians in young bands that make really awesome music- but they will never reach a higher level because all they are doing is making music. The sad thing is, music is a business- and you have to think more. You must talk to the right people, you must sell yourself at times. You must do a good social media (campaign), then you can reach other people. 50% is playing and 50% is talking on the telephone, mailing things to people to get live gigs, get chances to play out. If you can sell yourself, great- you can reach a higher level. Some people forget this. 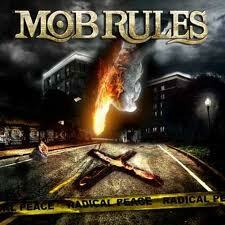 Dead Rhetoric: What’s on the agenda for Mob Rules over the course of the next year or so? Halbrodt: We know that we want to do something special for our anniversary, after the tour we will discuss this. As a band, we have made a good step with our new album, and we want to see where it takes us. We want to play more festivals next year, we want to play more in other countries – now it’s time to get to other countries. I would like to play a lot of live shows next year and bring Beast Reborn to the world.